This is the book I wish someone would have handed me when I first started freelancing! It walks you through an explanation of coworking, and why it’s different from everything you’ve tried before. It acknowledges that freelancers crave community but often shy away from typical networking events and meetups. 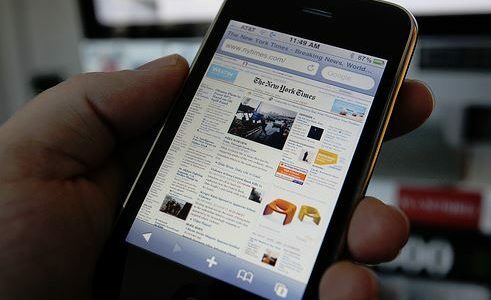 Today’s mobile workforce is savvy, but their options for workspace and community are limited. Coworking recognizes that freelancers can accomplish more through collaboration, and gives them the solid platform they need to grow and succeed. Check out a preview of the book, or download your own copy today! A benefit of being a digital nomad, freelancer, independent/remote worker, virtual CEO, whatever you want to call it, is that you don’t have to be tied down to a specific location if you feel like getting up and going on vacation somewhere. Lately I’ve been feeling less motivated and needing a change in scenery so I decided to hop on a plane and stay with a cousin in a different city for a week. It also helped that I had some free flights from last year that I needed to use up before they expired. Not being too busy this month, I decided to head out to Seattle for a week and then from there down to San Diego and stay with cousins who are working in both cities. It seemed like a great chance for me to shake up my surroundings, hang out with cousins, and not even miss a beat with work. Upon hearing about this, Angel, the owner of my home coworking space, mentioned I should drop by another coworking spot and connected me with the wonderful folks at Office Nomads which is in the heart of downtown Seattle on Capitol Hill. She said I could do so because of the…. What?! Sounded to me like a new credit card — but it’s way better. Apparently if you’re a member of a coworking space in one city, you can drop in on select coworking spaces around the country (and the world!) while you’re traveling! As a coworker, I had no idea… although now that I think about it, it’s not something you consider: “how am I going to cowork while on vacation?”, because coworking is typically something you only do with others in your own community. But if you’re traveling, definitely check out the Coworking Visa Program to see if there’s a space that you can escape to for getting some work done and possibly connect with other independent professionals like yourself while in another city. Sometimes, it can be hard to know what to expect when you’re arriving at a new space, so my approach is: expect the worst, but plan for the best. That way you are less likely to be disappointed. Remember that the coworkers you’ll be seeing are there by choice, not force like a corporate office, so they will be very approachable and likely share similar values as yourself of working independently. Just that simple commonality will help you connect with those you meet while coworking. Immediately when I entered I was greeted by Charles. He introduced himself as a resident member who was helping out with tours, phones, and greeting drop-ins like myself. He gave a quick tour of the space and all the amenities including the kitchen, tea/coffee machine, restroom, all the desks to work at, the meeting rooms, and even showed the mid-day yoga class that was going on. (By the way, a yoga class in a coworking space is an amazing idea!). Then Charles introduced me to both Susan and Jacob who run Office Nomads and because Wednesdays are the busiest day at the space, I took one of the only available spots on their desk. The next few hours were filled with a burst of productivity on one of my projects, trying out a few teas in their vast collection, adding to their ingenious “What do you want to do before you die?” wall in the restroom, nerding out on the door that had at least 100 digits of e written out, admiring the collaborative collage wall that was updated live online, and conversing with a few coworkers about their work. Overall an amazing day, and to top it off — Susan even graciously connected me to another App developer who was a resident member and I later caught up with him to discuss the App industry in which we’re both involved. As Angel always says — or if she hasn’t said, she’s written — or if she hasn’t written, she’s thought — or if she hasn’t thought, she will at some point — that “Coworking is about spreading awesomeness”. And that’s exactly the vibe I got during my short visit to Office Nomads — a lot of awesomeness was being spread around. 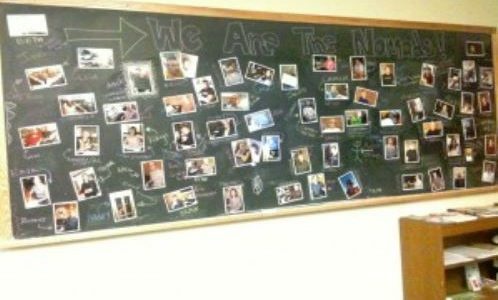 Last week, I wrote a quick report about a new coworking space network for Shareable.net. The network, with the slightly cheesy name of “The League of Extraordinary Coworking Spaces,” or LEXC for short, was designed to provide a seamless coworking experience for mobile professionals on the go in the United States. .”..Traveling, a common requirement for remote and freelance professionals, presents a unique problem for coworking regulars. Not only can it be arduous to locate a coworking space in a new city, but drop-in fees can be an unwelcome expense. For years coworkers have longed for a streamlined way to access coworking spaces around the world without worrying about membership cards and extra costs. And now it seems that something has arrived. As I shared the piece with my coworking colleagues via social media, I was slightly surprised to see a less than enthusiastic response to this news. “Oh, I didn’t realize that there were 6 spaces better than the rest,” stated one friend. “Feels exclusive to me. Concerned about one group determining what spaces are ‘qualified,’” tweeted another. 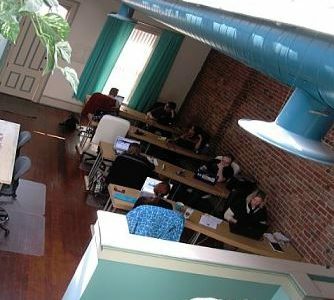 While I tend to automatically embrace anything that makes it easier for individuals to access the global coworking community, I realized that these cynics had a point: no where on the LEXC.org site did it state what made a coworking space “excellent” or how they had decided which six spaces to include at launch. Coming from a global community that embraces coworking in many different shapes and sizes, and that in general rejects hierarchy or exclusivity, these were valid concerns. 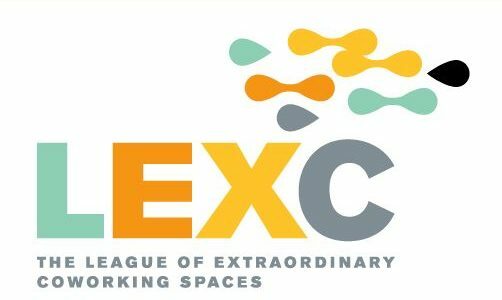 In the interest of clarification, I decided to ask LEXC to provide some insight into the criteria by which they’ll be judging applicants, and what they’re doing to ensure that LEXC is truly about enhanced access for traveling coworkers and not just about a “club” for coworking spaces that have the best funding/amenities. all are in the prime business of running a coworking space — this isn’t a side project of another main tenant of the space. all provide a mix of hotdesk and dedicated workspaces. all are professionally managed by full-time, dedicated personnel. all thrive on being a diverse community of professionals interested in joining a coworking space to hone and share their skills as much as a place to grow their business. all are committed to providing a combination of workspace, events and education to support members and the surrounding community. So it would seem that LEXC’s position is not so much about exclusivity or hierarchy but rather, about offering the user community a dependable experience from the user’s point of view. It’s user-centric versus provider-centric. That’s an important distinction, with emphasis on trust and dependability for the coworkers themselves. In light of these clarifications, I’d like to re-pose my original question: What do you guys think about LEXC? Does it make coworking spaces more accessible or exclusive? Share your thoughts in a comment or message me on Twitter. Most people think freelancing is radical (not radical cool, but radical weird). Many people can’t even imagine what it would be like to work someplace other than a corporate office with 3 – 5 “managers” watching you like a hawk. Even some freelancers find it hard to believe they can earn a living wage without working 60 hours a week. Deskmag recently published an article about results of the 2011 Freelance Industry Report which found that while around one-third of the U.S. workforce is unemployed (those are 2005 stats btw), only about three percent use coworking spaces or shared offices. Not surprisingly, the report also found that most freelancers list managing time, staying productive, and maintaining motivation throughout the work week as their biggest challenges. Remember, you don’t have to become a 24/7 coworking evangelist to help share its solutions with your peers. Don’t inundate your fellow freelancers with articles and tweets. Instead, just let them see how happy you are. Talk about how coworking makes your more productive/connected/profitable. Talk about life before coworking, and the different path down which your business would have traveled if you didn’t find it. Talk about benefits of coworking that have nothing to do with business or money: like how it gave you back your soul and got you showering again. The coworking movement is growing rapidly, but there are still millions of professionals trapped in the belief that the 8-hour work day is the only way to work. Let’s be a good community by setting the record straight. Together, we can save the world from 40 hours in a cube.